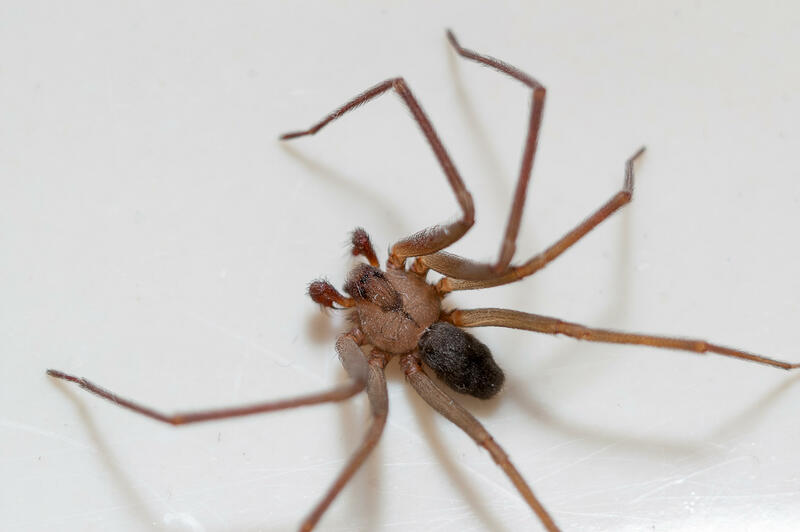 Waking up to an infestation of spiders in your bedroom may sound like a horrible nightmare, but it was very much reality for a Tennessee woman. A reality that quickly became life-threatening. Angela Wright of Brentwood, Tennessee woke up with arm pain and a few bumps on her chest and arm, but didn't think much of the mysterious ailment, she told CBS News. Wright eventually visited the doctor's office and was given medication for the bumps, but it didn't help. In fact, she started feeling worse. "I realized I needed to go the ER when my chest was hurting. I had a sharp pain in my chest," Wright said. She was taken to the emergency room a few days later, after she described feeling like she was hallucinating. Brown recluse spider venom includes a neurotoxic component, that is known to cause chills, fever or, in some rare cases, death. The effect of the spider bites on Wright was shocking. "The bite formed two blood clots that went to my lungs. I was seconds from a stroke," Wright told CBS News. Wright notified the management company in charge of the "Views of Brentwood" complex, where she lives, that her home was crawling with spiders, and she was bitten by them. "I would find spiders everywhere when spring came. I emailed, called, and they [apartment management] only told me they put me on the monthly spray list," Wright said. Someone sprayed the apartment, but the spiders didn't go away. Now, she is trying to move out of the infested apartment, but she said the management company won't break her lease. "They said the only way I could move is if I got someone to buy me out, which I won't, that's awful," Wright told CBS News. "They actually told me they didn't believe me." Wright said the only option management is offering to her is to provide a 60-day notice, then vacate the apartment, which would require her to pay $2,200. She is now fulfilling the notice and has already paid the first month due, but she won't live in the infested apartment. Wright is staying at another home until she finds a more permanent living situation. The ordeal has cost Wright more than living expenses, medical costs are piling up. "They [apartment management] refused to help me pay medical bills," Wright said. She estimates she owes, "at least $10,000 that I know of." Wright said the spider bites will have longterm effects on her health, "I am now on blood thinners the rest of my life," she said, and she is experiencing "sporadic pain in my chest still while the clots dissolve." She said the doctor even told her she "shouldn't have kids because of the clots." When she's able to get a new apartment, Wright told CBS News she is going to be extra cautious, "Oh yeah, I'll be looking for spiders in each crevice."